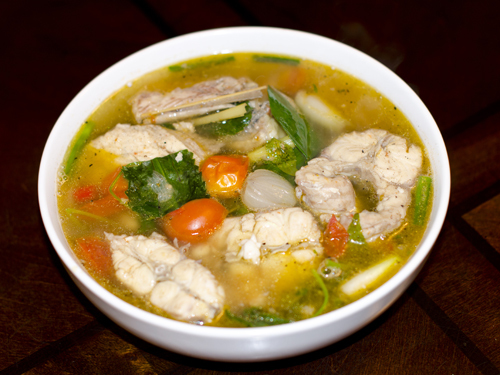 Here is a very fast and easy hmong / asian catfish soup tutorial. I hope you enjoy it! Please leave me a comment if you try this dish! Some of you may or may not eat MSG anymore, but I can tell you that MSG does add a different flavor to this dish. I'm not going to debate if MSG is good for you or not, but people use MSG in soups to enhance the flavor. 1. Heat a pot on high and add water. 2. Bring water to a boil and add the catfish, lemongrass, salt, fish sauce, tomatoes, kaffir leaves, shallots and thai chili. 3. Cook for 10-15 min. 4. Then add the veggies. 5. Cook for 5 minutes and remove from heat. Serve.